A 26-year-old man killed his girlfriend’s 2-year-old son by smashing him headfirst through a wall. 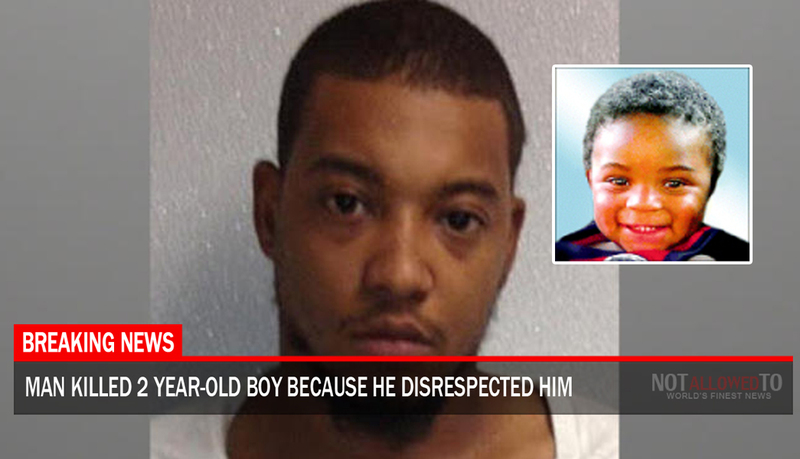 Clifton Bernard, who weighs 180 pounds and is 5 feet 10 inches tall, told police he attacked the toddler because he felt the child had disrespected him, sources with knowledge of the case said. Mr. Bernard is scheduled to appear in Prince George’s County District Court on Friday on charges of murdering Jamir Shipe. Court documents state that Mr. Bernard“became enraged” with Jamir, who had climbed onto a piece of furniture. Mr. Bernard “violently grabbed [Jamir] by the upper torso and forced him to the floor,” court records state.